SKU: Hw4960B. Listed in: Halloween, Props. Tags: decoration, halloween, light up, pumpkin. Light up creepy Pumpkin decoration with cut out face. 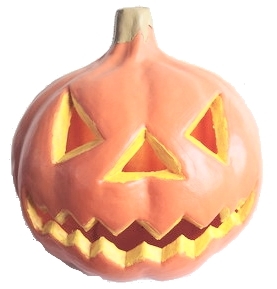 Ideal for Halloween Jack O Lantern effect. Includes 3 x 1.5v round batteries. Size 17 x 18cm.